Happy Birthday Coco! | Help! I live with my Italian mother in law! Regina Coco was born August 13, 2010. Today she is 2 years old! 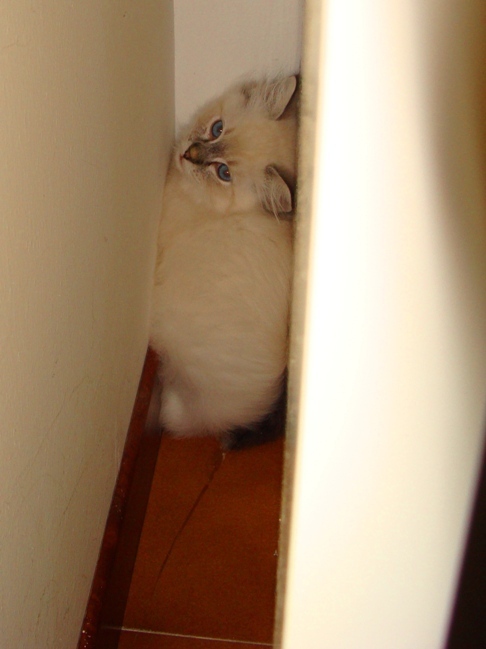 This is the photo that the Silmarilions Ragdoll Cattery in Rocca Priora, Italy sent to me of my new baby before I could take her home. My husband was on the ship at the time so the breeder agreed to meet me at the train station in Rome for the transfer. I took the early morning bullet, collected her and got on the next train back to Genoa (first class of course). It was a cool October and Coco slept in my arms on the train the entire ride back. Only when I got her back to Mama’s did she start to cry for her own Mama. Her cries were just like a baby’s and my heart broke for her. A sleepless night for both of us ensued until I placed my pillow on the floor next to her hiding spot and she came out. Now she follows me from room to room. Eats when I eat and goes to the toilet when I do. I cannot leave any doors closed or she will cry for me if she knows I’m there. Yes, she is spoiled rotten and is going to be pissed off when my husband gets home tomorrow and steals all her attention and kisses. I think she also thinks she’s a dog because every time I put my shoes on and grab my car keys she jumps into her carry cage so I will take her with me! 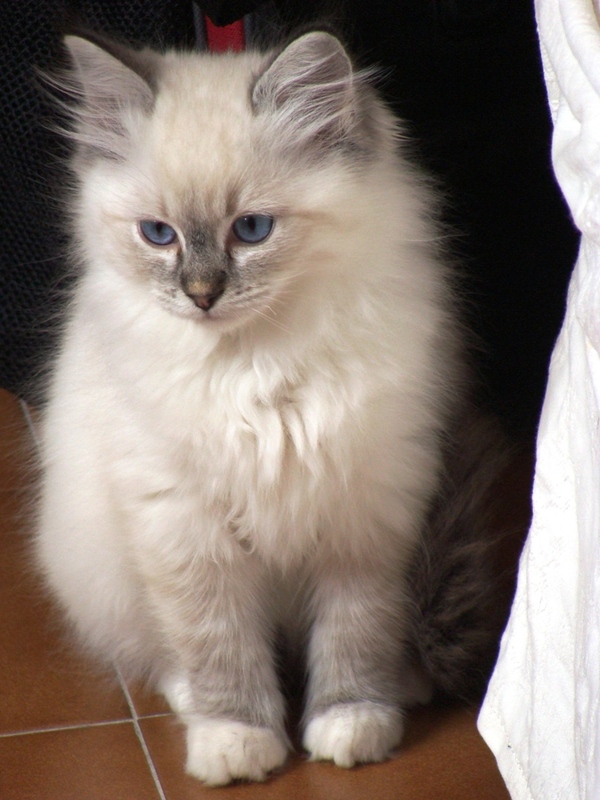 This entry was posted in Mama, Nature and tagged cats, kitten, love, pets, ragdoll breed. Bookmark the permalink. 7 Responses to Happy Birthday Coco! How adorable! 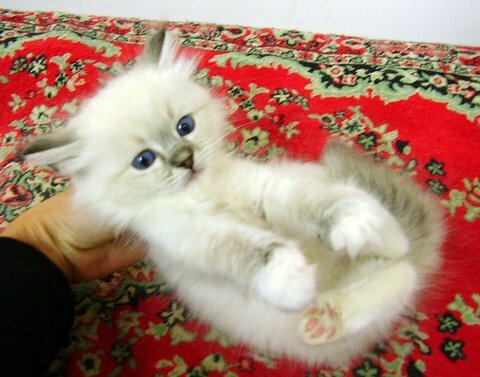 I too live with and am twisted around the paw of a Ragdoll. Her name is Mocha Latte. Happy Birthday Coco! 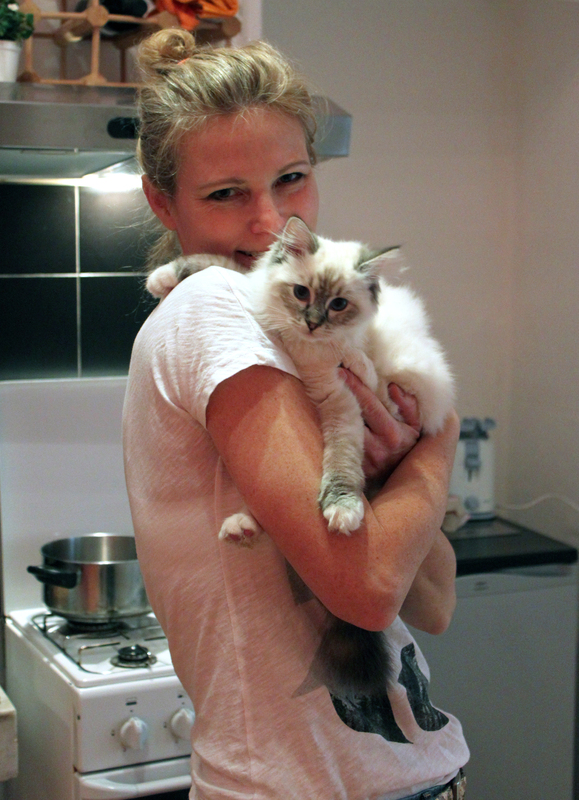 Do you let your ragdoll outside? Coco seems to always want to go out but I am afraid to let her out. She has also gotten into a bad habit of climbing up the balcony rail and balancing on the narrow beam. Scares the crap out of me! I live on the 3rd floor but she is so bottom heavy that I don’t know if she would survive a fall like that. Need to figure out a way to get her to stop doing this! Awww! She’s still a baby and a beautiful one too. I love her and I love you! I remember when you took the little Coco!